A tenant is usually responsible for paying money to a landlord. This is usually in the form of monthly rent. There are situations in the landlord-tenant relationship where a landlord will actually be responsible for paying a tenant. Here are seven times a landlord has to give a tenant money. There are two separate situations where a landlord may have to pay a tenant for repairs. This includes directly reimbursing a tenant for repairs and indirectly collecting less rent when a tenant makes a repair and deducts it from their rent. There are certain situations where a landlord is unable to make a repair at the rental property. It could be off-hours, the landlord may be out of town, travel may be limited due to severe weather or another extenuating circumstance could be to blame. In these situations, the landlord may give the tenant the OK to perform the repair themselves or to hire a professional to do so. With the landlord’s approval, once the repair has been performed, the tenant should send the landlord an invoice with the total cost of the repair, including all relevant receipts. The landlord is then responsible for reimbursing the tenant for this cost because the landlord is responsible for maintenance at the property. The second situation where a landlord has to pay a tenant for repairs is when a tenant repairs and deducts. Not all states allow a tenant to repair and deduct, so please make sure to check your landlord-tenant rules to see if it is allowed under your state law. Other states will have specific rules, such as only allowing tenants who are current on rent to repair and deduct. There is a substantial health or safety violation at the property that threatens the warranty of habitability or makes the property unlivable, such as not having heat in the winter or working plumbing. You have notified the landlord of the violation. The violation has been reported to the building department or appropriate agency. The violation was not caused by a deliberate or neglectful action by you, another tenant in your apartment or any of your guests. The agency has served the landlord notice of the violation, including a time-frame to complete the repairs. You have given the landlord access to your apartment. The landlord has not fixed the violation within the given time-frame. If all the above criteria are met, the tenant can have the repair completed and deduct the cost of the repair from the monthly rent. State law may limit how much can be deducted, such as no more than four months’ rent in any twelve month period. The tenant must provide copies of all receipts and invoices as proof. The landlord has the right to take the tenant to court if he or she believes the amount deducted was excessive. Many states have limits setting a maximum amount you can collect from a tenant as a security deposit. If the state where your rental property is located has such a limit and you collect more than this amount, you will have to pay your tenant back the additional amount you collected. In some cases, you may also have to pay your tenant additional damages because you broke your state’s landlord-tenant law. With all of these steps, you can see that the eviction process does not occur overnight. It will also cost you more money as you will not be able to collect rent from a new tenant until the current tenant moves out. The tenant’s actions are costing the landlord money—Such as damaging the property. Landlord just purchased rental property and wants to get existing tenants to move. In Cash for Keys, the landlord will offer the tenant an incentive, in this case, cash, to move out of the rental unit quickly. Explain to the tenant that they have broken the terms of the lease and you will be filing to evict them. An eviction will go on their permanent record, negatively affect their credit and impact their ability to rent in the future. If they accept the Cash for Keys and move out before you have to file for an eviction, they will have money to move into a new apartment and will avoid having an eviction on their record. If the tenant agrees to Cash for Keys, make sure to get it in writing. Include the date the tenant has agreed to move out and the amount of money they will be paid upon move out. It is very important not to intimidate or harass the tenant. If you offer the tenant Cash for Keys and they refuse, leave it at that and go file to formally evict the tenant through the courts. Self-help evictions and harassment are illegal. In landlord-tenant court, the judge will rule in favor of the landlord or the tenant. In certain cases, the winning party may be awarded damages. This is often the case if landlord-tenant law was broken. For example, if a landlord wrongfully withheld a tenant’s security deposit, the landlord might have to pay the tenant back several times the amount that was wrongfully withheld. Another example could be having to pay damages to the tenant for failing to address a health or safety violation in their apartment. 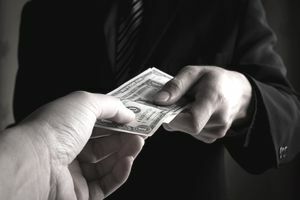 If a landlord loses in landlord-tenant court, he or she may be responsible for paying for the tenant’s attorney’s fees. This includes hourly rates to retain the attorney.